Mailfence is an end-to-end encrypted email solution with digital signatures that gives users full freedom and control over their key management. However, how to encrypt email with your other email accounts such as Gmail, Yahoo or Outlook.com? What if they do not provide encryption features? 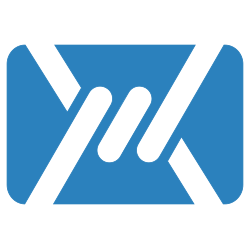 In fact, how to operate all your email addresses, simply using one webinterface: Mailfence. Mailfence webmail includes an IMAP client, allowing to view the mailboxes of other email services that provide an IMAP(S) access. Once an external mailbox is mapped into your Mailfence account, you will be able to read emails sent to this provider, included the OpenPGP encrypted ones that you might probably not be able to decrypt otherwise. You will also be able to send emails using the address of this mailbox as sender address. You can also send those emails encrypted/signed. To encrypt email with this existing email account, you first need to make sure you have an OpenPGP keypair attached to it. More info can be found here. Please note that the deliverability of sent emails may be inferior due to potential SPF and DKIM policy checks. Also, do follow our Email security and privacy awareness course to better safeguard yourself against today’s dominant cyber threats. Previous story POP3 vs IMAP vs Exchange ActiveSync. What’s the difference?